This is a unique and one of a kind piece of bottle art which is handcrafted. 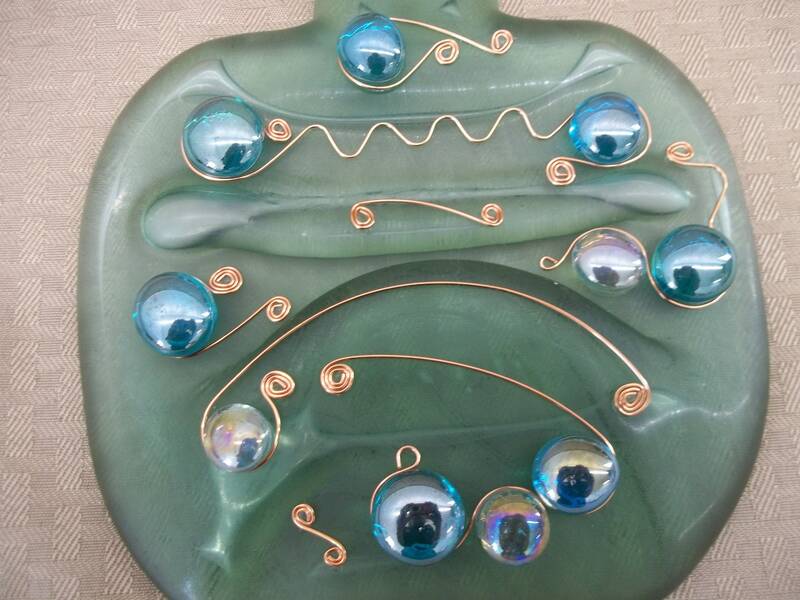 The bottle was flattened in a glass kiln and then accented with blue and clear cabochons and copper wire work. The bottle itself has a greenish hue to it. 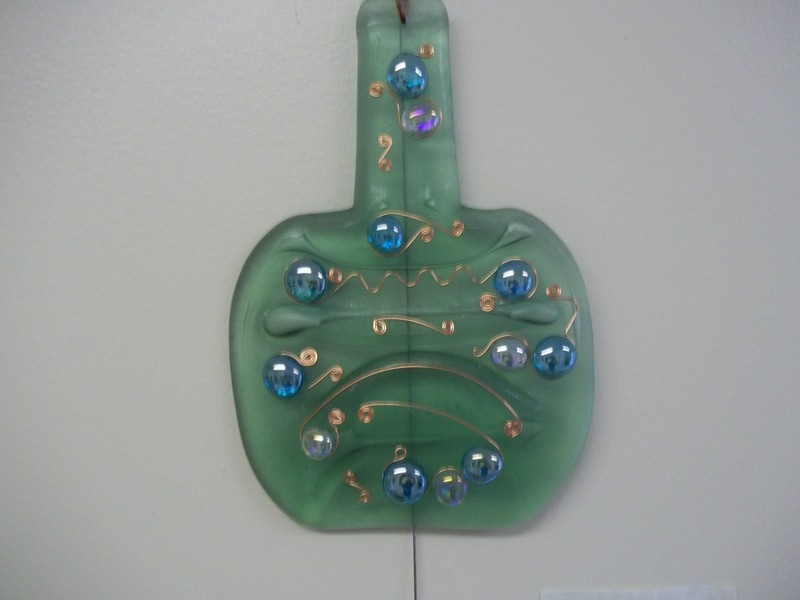 This piece of artwork measures approximately 14 1/2" long, including the chain, and 6 1/2" wide at the widest point.